LAKE FRONT LIVING AT ITS BEST! 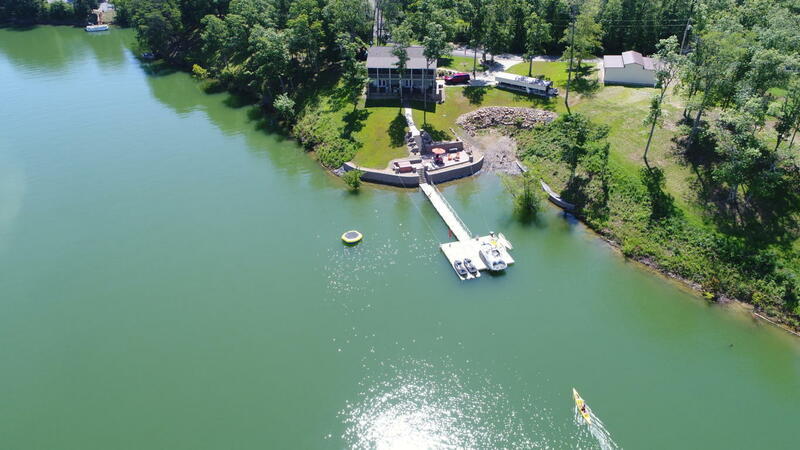 Come enjoy the great outdoors, lake life on beautiful Douglas Lake and amazing year round sunset views! Located in the Chestnut Hill area with year round deep water access. Cottage style home has expansive porches, above and below. With approximately 500 feet of water front, choose whether to fish, swim, kayak or lay in the sun! Custom hardscape begins at the lower porch, leading to a water front patio with a large hot tub and custom sunken fire pit. Property also has a covered carport and 36'x26' storage garage for toy storage. TVA permitted dock and retaining walls add to the aesthetics of this lakeside retreat!